You may have completed all the pre-departure tasks for H1B Visa in your Home country and ready to leave to USA on H1B Visa. You might wonder what documents I need to carry for travel to be prepared for the US Port of entry(POE) for verification/interview. You may read US Port of Entry, F1 Students info to get an idea on POE process. Below is complete list. Passport with valid H1B Visa stamping on it. If you have any professional licenses or certificates, you can carry them as well. You will need the address information of where you will stay in America. You will have to fill it out in the I-94 form that you submit at the port of entry. Make sure you have the address and contact number in USA. Also, you would need to carry the information of the person you are going to meet in America. It could be your manager or one of your company’s employees. You may not be asked to show these documents in transit airports, when you are have connecting flights, but it is good to have all the info. 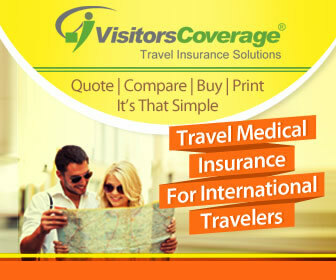 Short Term Travel Insurance in US : When you are traveling to US for the first time and not sure, what and where to buy, you can take Short Term Travel Insurance like Visitors Coverage – Health Insurance . Once you are settled in first few weeks, then you can buy a domestic insurance from US providers or have your employer cover it. Where to keep your H1B Visa, Passport and other Supporting Documents ? You will need all your documents related to H1B visa, supporting documents, when you meet the CBP officer at Port of Entry. The interview with CBP officer at PoE happens before you collect your checked-in luggage bags. So, it is important that you do not put in all your documents in the checked-in bags as you will not be able to have them before the PoE interview. So, make sure you keep all these important documents with you in person and have it in your carry on luggage or laptop bag that is with you all the time. If you put any of these documents in luggage check-in you may be in difficult situation not able to show these documents. You can check out Port of Entry Tracker to see the common questions asked and also do add your experience. Did I miss anything ? Did you carry any other documents ? Were you asked any other set of documents ? I have valid H1B visa till 2019. The petition was filed for NJ and Client A through employer E. I never been in US. Now for other opportunity I had filed my amendment in premium mode through Same employer E but Location was Chicago and Client B. But the amendment got rejected after giving RFE. Now my question is, can I travel with my original H1B at NJ and work remotely for my client in Chicago ? Will there be any issue at POE ? What should be the answer for this ? Can admin answer on this pls? Need some information , I got US VISA stamped on Oct 2015 and i got VISA for 3 years till Sept 2018 . As i did not traveled to US till now and thinking to travel in Jan 2018. 1. As there is only 9 months time , Is there any possibility of sending me back to India at Port of Entry interview as i am travelling late ? 2. My Employer is given ‘ Product Development’ while going to stamping in 2015 , so there will be any problem ? 3. The Employer mentioned there will be some risk at Port of Entry as i am travelling late . but i want to take risk. I am facing the similar situation now, Can you please help me out what did you do in your case? And what are the questions they askedd you in POE? I am currently in INDIA and looking for H1b transfer. whether my h1b transfer case will come under current premium processing of the following rule. I gave I797 to Netherlands embassy for Schengen Visa and never got the original documents back. Now its time to travel to Europe and I dont know if I will need the original/photocopy of it while re-entering the US on H1B visa. However, my most recent entry to US was on the same H1B visa and I had original I797 back then. This time being a re-entry on the same visa, will I need the original or photocopy of I797? Prefer to have original but not a mandatory. My H1B Visa & I797 validity is 30 Sep. 2017. I am first time traveler. I am planning to travel to USA on 26 Aug. 2017. After reaching USA i will be apply for extension. If I travel , is there any chance to deport at Port of entry due to short visa validity issue ( 5 weeks). I am in a similar situation, can you tell me what happened to your case. Your answer will be very helpful. Yes. i traveled with just 1 month left on my visa and petition. there was a question on PoE but no problems at all. I Filed for extension as soon as i reached here and now can stay for 240 or till the time i get an answer on my extension. 1. Did you travel from the same company which got H1B stamped for you? or you just took little risk and landed in US for a different employer before H1B transfer? 2. What were the questions asked at POE? This will really help. 3. Did they call your employer and checked if employer is expecting you? 4. Did you have any revised client letter mentioning the date when client is expecting you or something like that. Appreciate your help and will help me a lot. my h1b visa revoked , due to landing in another location , but not in work location. What did you reach Chicago ? Can you share more details on what happened at Port of Entry ? I am following your forum from few months. I really thankful to your valuable suggestions.I also need your help .let me explain my case. I traveled on H1b in Dec 2015 on ‘A’ company (Petition valid till 07/07/2017)and later transferred my H1b to ‘B’ company in USA(Petition valid till 06/20/2017).. Due to family health emergency came to INDIA in Oct 2016. There after working in offshore till the date. I stayed in USA only 11 months of time. Now I requested my employer to apply extension , but they didn’t turned up to renew the VISA due to premium processing stopped and client time lines.Now I approached new employer and I am planning to transfer. 1.Is there any time limit after VISA expiry to transfer to new company. 2.Now I stayed more than 10 months India After return from USA. Is this will effect the transfer process.The new employer is saying he will do transfer once premium is resumed(Probably USICS will resume in Sep). 1. As per my understanding, it is usually 6 years from the time last H1B petition was filed. 2. No, it does not. Technically, your new employer will apply for a fresh petition using your previous H1B case number, which is only used to identify that your petition is cap exempt and can be filed anytime. My Visa is Going to expire on July . My Query is after july I cannot renew(or) extend my Visa? My employer cannot extend VISA due to current situation. Assuming you are talking about H1B…Without your employer, you cannot renew your visa. I am trying for new employer to transfer my H1B before my VISA expires in July. If this is not possible -Can I transfer my H1B after my VISA expires also with new employer from India? Is this possible. Any challenges to transfer H1b Visa after visa expires. Any time limit? You do not really transfer Visa, your employer would use the previous H1B approval to apply for cap exempt petition. The visa on your passport does not matter for that. Yes, it is possible to apply for cap exempt H1B petition even after your H1B visa expiration on passport. The approval is always tied to your employer authenticity and your employment opportunity, if all is good, you should be fine. Thanks so much for listing the documents needed in conjunction with the H1B visa. I always get nervous upon port entry — can’t wait till the questions are finished! I’ve nothing to hide — I guess a lot of us are like this! Hi I came to India In Sep 2016 due to my family emergency and delayed my travel working in offshore and planned to travel in Apr21st .Is there any problem in port of entry will they ask this timeline.My Visa is valid till July 2017.My employer told me he will file extension once reached to USA. Is there any problem in port of entry as my visa expires in 75days. Please suggest me what are the documents needs to carry. It should be fine. Respond truthfully and let them know that employer plan to files for extension soon after. I m first time traveling on my h1b visa. My work location is Pittsburgh, I POE will be Boston. I ‘ll be traveling to Chicago first next I ‘ll head to Pittsburgh. Will there be any issues at POE ? Dont worry too much about POE. Make sure you carry all your documents and be prepared to answer questions. As long as you have everything in place and all details correct, without fraud, you should be fine. There is always the standard disclaimer, that tells admission is subject to POE and in hands of CBP officer, but nothing to panic, if you have everything correct. Hi Jhansi, When is your travel date and from which company are u travelling. I will also bhi travelling next week. My LCA is Reston (Virginia) on h1b petition . So nearest airport is Washington DC. However , I want to land and stay in SFO to visit my close relative for 1 week. Is it fine if i land in SFO and after few days travel to Reston(work location). Or , this may create an issue at port of entry ? i am also in same situation please let me know your experience. Hi I am planning to travel in mid of next week to Texas from Hyderabad. How is port of Entry in DFW. or else via abu dabhi is best. Hi I came to India In Sep 2016 due to my wife surgery and delayed my travel due to her health condition and planned to travel in Feb 11th via Abu dabhi.Is there any problem in port of entry will they ask this timeline.My Visa is valid till July 2017. My employer provided the letter to me for the port of Entry. As long as you have valid visa document and not part of the banned countries, you should be fine. Don’t worry too much. Carry all the documents that your employer gave. in March to bring my wife and kid. My flight is from Chennai -> Dubai -> Boston-> Philadelphia. I have a valid visa till 2019. My wife &a kid are traveling for the first time to US and POE would be Boston. What are the documents needed for me to accompany them and is it a good option to travel at this time. I am with the same employer since 2008 and recently moved to US on Oct 2016 for the same company. What if I do not have the original I-797 ? Can I use a copy ? Yes, you can use the copy. In the end its a copy that’s submitted to USCIS and not the original. Apologies that I was not clear. Can I use a I-797 COPY at the POE if I do not have the original. Also note that the employer on the visa and the I-797 are different. I would be entering the country on a new I-797. Yes, you can use the copy. If they have doubts they can access USCIS system to confirm that petition’s authenticity. Make sure you show the new petition to the officer. In my couple of recent experience, they just asked for passport and took the receipt number from the visa stamp. Saurabh, is it still on to show copy of I797 at POE? Also my employer in i797 is different from what is on visa. Saurabh, is it still ok to show copy of I797 at POE? Also my employer in i797 is different from what is on visa. You will have to show both the visa and the new petition at PoE. By default they would assume employer mentioned on the visa stamp is the current employer. So you need to show them the petition to make sure that the I-94 is issued based on this 797 and old petition. Mario, How was you experience in using I797 copy and not original at port of entry? Mine is similar case. Also my employer on visa in passport and on I797 petition are different. Can you please share your experience at POE with I-797 copy and not having the original I-797 document? Mine is also the same issue, US consulate in hyderbad took my original I-797 document and got misplaced, now they are saying they do not have it. I appreciate if any body has come into the same issue and share your experiences at POE. I have lost my I 797 while traveling to india. I have a return on 19th march. I have a scanned original copy of my I 797. My employer on visa and i797 is same. Will that be sufficient at POE? My H1B visa is approved in Feb’16. I planned in Jan’17 for my travel. My POE is NJ. What are any queries at POE for taking 11 months for travel. If yes what kind of answers will be feasible.. Please let me know. Carry more recent and up to date documents. If asked about the delay, you can say that project was delayed etc. I’m travelling to Boston next month. What would be the questions asked at the time POE? I hope you reached Boston safely. Just wanted to know what where the questions asked at POE? I am coming to USA on H1B with my wife first time and will be landing to LCA state and staying with friend who is also employee with my H1B Sponsor. Can I use my friend address as mine while filling form? I have booked one-way ticket as no airline issuing ticket beyond 10 months return at time. I have H1B petition approve till Sep 2017 but visa issue (stamped in Passport) till Sep 2017. Can I stay beyond Sep 2017 (till Sep 2018) or I need to do some formalities once coming? The date till you can stay in US is mentioned on your I-94 which will be issued at POE. Have you travelled already or not? Please share your POE experience. >>Can I use my friend address as mine while filling form? What form are you referring to? >>Can I stay beyond Sep 2017 (till Sep 2018) or I need to do some formalities once coming? When entering US, they would issue I-94 on the basis of your 797, unless the passport is expiring earlier. You can then stay and work until 797 and I-94 expiration dates. my flight route is Mumbai-Delhi-Brussels National, Brussels-Newark. What would be the port of entry to usa for me. Brussels is capital city Belgium and Newark will be the first city where I land in USA, so it would be my POE. This is my new employment, I’m travelling to USA on my H1b for the first the time. My Employer is located at Virginia but I’m getting down at Chicago as port of entry in USA to attend a personnel function and will be there for few days. Now my question is Would be there any issue if port of entry is different location to the employer location? Am into the same situation, i will be attending POE in chicago and then proceed to Detroit where my sister is staying. Employer location is Texas so am worried if there will be any issues due to this. I have booked my tickets to Chicago and will have POD. May be will go to my employers place after a week. I am in the same situation. Did you stop over at Chicago? Could you share your experience? Can u pls share your experience.. Please make an entry at your Work location(LCA location).Don’t get into any sort of trouble with the CBP officers(atlease there will be some additonal questions at POE and be prepared for answering that).If you cannot avoid going to chicago atleast show them the flight ticket you booked for going to your work location.But I would strongly advice you to land at your work location. I am coming to US on H1B with my wife and kid for the first time. The tickets are booked by my employer, however, is it possible that they want to see my bank balance? Should I carry proof of my bank balance that I have enough resources to fly back if at all it is required? If yes, how much fund would be enough to keep in bank? Thanks for you value able advice. This post provide us all details which one should keep in their mind while applying for USA Business visa. I am also want to know about it.